The ambitious goal of One Belt, One Road is to change the course of world history by casting Eurasia into the role of the centre of economic, cultural, etc. life again, breaking the century-old dominance of maritime powers. However, the changing geopolitical situation prompts the countries of Europe – including Hungary – to re-evaluate their position in the world. For Hungary, a country regarded as periphery for a long time due to its separation from seas, One Belt, One Road presents the opportunity to play the role of the bridge. The term ’Silk Road’, coined by German geographer Ferdinand von Richthofen in 1877, creates a mystical and fabulous impression in people even today. In fact, the old Silk Road used to be the most extensive commercial network of the world, which, as the axis of world economy, linked the most important civilizational and economic centres on Earth until the dawn of the great explorations. By today, however, its economic and cultural significance has vanished, even though its certain sections were in use until the 20th century. But in recent decades its revival has been on the agenda again, and has been given fresh impetus by Xi Jinping, President of the People’s Republic of China, who placed it officially at the heart of his foreign policy in 2013. The old Silk Road evolved from the interconnections of regional commercial routes – mainly marked by the geographical environment (river beds, mountain passes, etc.) – around 2nd century BC. The two central branches of the routes stretched in the east-west direction, connecting the Mediterranean region with China, and in addition, it also reached out to the Hindustani Peninsula, Central Asia and Africa. It is a relatively new discovery that beside the intercontinental transport route, a maritime commercial route existed between China and the Persian Gulf, named as the Maritime Silk Road. Not only did the Silk Road have a commercial and economic role, but it also served as the meeting point of the great civilizations of the West and the East. It was a channel which gave the opportunity to exchange information, thoughts, ideas, religious doctrines, artistic styles and technologies. In ancient times, Eurasia and the closely linked North African zone, in economic terms, basically meant the axis of world economy. The great continental agricultural empires were the centres of the world economy, and they had had very sparse contact with each other before the regional routes were connected. The importance of the great agricultural empires lies in the fact that their agricultural production resulted in a significant concentration of population, creating the most significant market of the world. Their ever-growing cities gave birth to developed and specialised crafts. The Silk Road ensured the exchange of the specialised products of the different regions by connecting markets and producers. The intermediate regions (e.g. oasis towns) also became rich, thanks to trade. It is no coincidence that the major centres of power tried to take control as great part of the Silk Road as possible. However, there was not one power which completely succeeded in this pursuit. Europe was one, but not by any means the most important, centre of this economic belt created by the Silk Road. In these times, it was not Western Europe but the Mediterranean region and, in particular, the Italian city states (e.g. Venice, Genoa) – playing a much larger part in commerce – which meant the economic centre of gravity in the continent. For geographical regions, the significance of Eastern Europe was also by far greater than today; Hungary could be regarded as an integrated part of the system, through the commercial route of the Balkan, which greatly contributed to its status of being a major power of the age. The Silk Road, which was thriving for more than a thousand years, gradually lost its global significance during the great discoveries, and was soon forgotten. But what lies behind this drastic change? According to a popular opinion, the emergence of the Ottoman Empire was a decisive factor; it successfully conquered the western half of the Mediterranean region. Although the Court in Istanbul levied grave taxes on long-distance trade, it would not have caused the decline of the significance of the Silk Road. The real reason was that maritime navigation grew stronger, thanks to new technologies, such as the compass, safer ships, etc. The revolution of maritime navigation fundamentally reshaped the geopolitical map of the Earth. US Admiral Alfred Thayer Mahan explained the advantages of sea over mainland in his geopolitical work entitled The Influence of Sea Power upon History, 1660-1783, published in 1890. Any point in space can be connected on sea. In addition, it is possible to transport a great volume of goods in an inexpensive manner, and thanks to the technical development of maritime navigation, it could be done much more safely from the 16th century. For all these features, sea was particularly suitable to facilitate the emergence of the capitalist market economy, at the heart of which lies the exchange of wealth produced according to supply and demand patterns. Maritime trade could ensure the exchange of surpluses between different regions, on a global level and in a relatively inexpensive manner, and incomparably more cheaply and in greater volumes than the Silk Road, which meant mainly overland trade. As a result, the global capitalist world economy started its conquest. The matter of rising maritime trade was closely connected with the question who could exercise power over maritime transport routes. Due to its vast dimensions, the sea seems to be difficult to be ruled. However, Mahan argued that for geographical reasons one did not need to completely cover the oceans in order to rule them. Maritime trade routes did have critical points (straits, certain ports, etc.). A maritime power had nothing else to do but control the strategic points. By establishing naval bases and continually ensuring maritime routes, the way opened to build such an empire whose power exceeded even that of the great continental ones. Naturally, it did not primarily mean the occupation of territories, often just the behaviour of other states was controlled or the acceptance of the rules were compelled. The profit generated by the exchange of goods through maritime trade and the control over maritime routes gave European countries unprecedented power. First the Portuguese and the Spanish, then the Dutch, and finally the English extended their sphere of influence. Their power resulted in opening the great continental empires and involuntarily altering their traditional social-economic systems. China in the Quing era was the last victim, and was brought to its knees with the smuggling of opium and minor spot attacks. The British Empire was the first global hegemonic power over the oceans, directly ruling one-fourth of the world’s population. Its power was considerable enough to defend its interests anywhere in the world. By the beginning of the 20th century the ponderousness of Great Britain had wavered, while other continental powers, such as Germany and Russia, were developing dynamically. As a result of the second industrial revolution (second half of the 19th century), railways were spreading rapidly, transforming the transport links of the world. For the people of the time it reflected the fact that the time of maritime powers was over. It is no coincidence that Halford J. Mackinder, challenging the supremacy of maritime powers, later regarded as the father of geopolitics and is still one of its greatest representatives today, concluded in his book published in 1919, “Who rules East Europe commands the Heartland; who rules the Heartland commands the World-Island; who rules the World-Island commands the world.” Mackinder’s theory reflects on the unity of Eurasia and Africa as a World-Island again, where control over the geographically central area (he named it first as Pivot, later as Heartland) is crucial. Continental major powers, however, could not impose their rule on the World-Island: first Germany (World War I and II), then the Soviet Union failed to do so. It was partly the outcome of the politics of maritime powers (Great Britain and the USA), and, on the other hand, the consequence of the inability of railway transport as well as the appearing road and air transport to become a real competitor of sea transport. While railway and road transport had become significant on a regional level, at long distances sea transport remained the most effective way of transport. Great Britain’s hegemonic status had collapsed by the middle of the 20th century. Its position was successfully taken over by the United States of America. Although the USA – due to its economic potential – has become a leading power in all areas of geopolitics (air force, cyberspace, etc. ), its role played in world politics is primarily owing to exercising power over the oceans. In addition, for most of the countries in the world, the power of the USA is not a mere constraint but has numerous advantages. It is the USA which ensures the global framework of capitalism – mostly at the cost of the US state (global public good). It has become more profitable to play by the rules imposed by the USA than to take action against them. This is also demonstrated by the example of the Soviet Union and China. While the former one failed to take on the challenge posed by the economic dynamism of the USA, China’s “reform and opening” policy introduced by Deng Xiaoping in 1978, reflected the willingness of the Far Eastern state to play by the rules of the USA. It earned its rewards: China’s coastal regions integrated into world trade extremely successfully, and the fastest economic catching-up process in the modern history of mankind has begun. China’s extremely successful integration into world trade and the rapid increase of its power resulted in a delicate situation, since it increasingly presents a challenge to the most significant power of the world, the United States of America. The issue is not lacking in piquancy: China has grown stronger and become a potential global major power and a rival just by following the rules of the USA. Since China’s leadership feared that sooner or later the USA would prevent the rise of the country in some form, they exercised remarkable restraint in their foreign policy. It embodied in the foreign policy of “keeping a low profile” in international affairs, launched by Deng, the aim of which was to hide China’s fast growth. The financial crisis of 2008 revealed the change in the regional role of China, and forced the United States, considered to be the leading power in the region since World War II, to act. The USA came up with a new geopolitical concept in October 2011, which became known as the “Pivot to Asia”. The Pivot made a sweeping change in the foreign policy of the US by the commitment of the Unites States to maintain the status quo in East Asia as well as its own regional leading role. Essentially, the Pivot is a geopolitical scheme including military, political and economic goals to balance China’s ambitions. Within the framework of the Pivot, the USA reinforced its alliances in the region, and equipped the states considered to be China’s most important rivals (the Philippines, Japan, Vietnam) with modern military instruments. It also started to deploy a significant part of its military potential to the region. In parallel, the aim of establishing the Trans-Pacific Partnership (TPP) was also announced, which would mean a free trade zone in the region, excluding China. With the Pivot, the USA encircled China in such a strategic ring out of which it must break out by any means. China is in a delicate situation: in order to continue its emergence, it still needs a peaceful international environment, and to avoid conflicts with the USA. Since it would need a more powerful fleet to curb the enhanced presence of the USA in its traditional East and Southeastern Asian sphere of interest, China had to seek new opportunities. This is the aim the One Belt, One Road scheme is dedicated to fulfil, and it also marks the end of the foreign policy of keeping a low profile, and means such an international activity which is on a par with China’s new position of power. According to Beijing’s plans, the New Silk Road (or as it was later named, One Belt, One Road) project launched by Xi Jinping, President of the People’ Republic of China in 2013, would establish such an economic belt encompassing more than 60 countries within one or two decades which would redefine China’s network in Asia, Europe and Africa. The first, large-scale construction phase will coincide with the period of the 13th five-year plan (2016-2020). The belt consists of connecting new and existing networks of roads, railways, oil and gas pipelines as well as optical networks, adding cooperating industrial parks, logistical centres and seaports, rearranging the traditional relationships between the production centres, markets and sources of raw materials of this vast region. On top of infrastructure, the programme is completed by commercial, investment and financial collaborations. Similar to the old Silk Road, One Belt, One Road places great emphasis on – in addition to the economic aspect – cooperation in the fields of culture, research and development, and education, providing scholarship and exchange scheme for students, experts, researchers, supporting tourism, etc. The continental belt consists of six “economic corridors” in total, which can be perceived as the arteries of the new economic belt. What is exactly the New Silk Road? Although the Chinese government firmly rejects that One Belt, One Road is referred to as a geopolitical scheme (according to the official wording: changyi, which approximately means an initiative to act for common good), in fact it is a project which aims at shifting the axis of the world economy from the oceans back to the mainland. The promise lying at the heart of One Belt, One Road is to restore the former economic, political, cultural, “historical” role of Eurasia. One Belt, One Road claims to be able to connect the economic centres, which are currently mainly connected on sea, via its economic corridors. However, it does not mean a complete refusal of the sea. It is also demonstrated by the fact that the 21th-century Maritime Silk Road forms an important part of the scheme. However, overland links enjoy greater attention, which, from a historical point of view, means a break with the “sea-focussed” era persisting from the 16th century. In a political sense, with the One Belt One Road scheme China attempts to eliminate gradually the Pax Americana, and to introduce the era of Pax Sinica in Asia. According to the definition of international relations, the characteristics of a hegemonic power include economic and military power exceeding competitors, and the control over the interstate system via international institutions. China has undoubtedly fulfilled the first criterion within Asia, and we can actually see that the attempt to transfer the international institutional system has also begun. With a start capital of 100 billion US dollars, the Beijing-based Asian Infrastructural Investment Bank (AIIB) has come into operation, supplemented by the Silk Road Fund and the New Investment Bank of the BRICS group, which will also have a currency fund of 100 billion US dollars by 2020. International collaborations supported by China, such as the Shanghai Cooperation Organisation, the Boao Forum, etc., also join in. However, eliminating the Pax Americana, despite critical tones, will happen gradually, in line with China’s strategic traditions of avoiding direct conflict, and including several elements of the existing system. Pax Sinica will be successful if China manages to make friends as well as allies. However, it is still subject to debate within Chinese leadership, since alliances do not comply with the principles of the foreign policy of the People’s Republic. Nonetheless, Pakistan, one of the key states of the New Silk Road today, de facto may be regarded as China’s ally. As examples from history demonstrated, earlier continental powers were not able to break the power of maritime hegemonic powers. Basically, it had two main reasons: the politics of maritime powers and the level of technology, which was unsatisfactory for overcoming geographical factors. The New Silk Road presents a real threat to the American power-based interests because it attempts to feature China in such regions (South Asia, Central Asia, the Middle East) where the presence of the USA under the Obama administration has weakened, partly due to the new Pacific focus of the US foreign policy. Although the USA itself had launched a Silk Road scheme, its scale is no match for the Chinese one, and it is still not clear whether the American leadership has a strategy to prevent the One Belt, One Road scheme. On top of American positions, the Chinese scheme impacts Russian positions as well, first and foremost in Central Asia. China’s economic presence, which in recent years has intensified in a region traditionally considered as a Russian sphere of interest after the dissolution of the Soviet Union, is further intensified by One Belt, One Road, and Russia, struggling with economic problems due to international sanctions and the low price of hydrocarbons, is increasingly unable to impede it. In addition, the Russian-Chinese relations are continuously improving, primarily owing to Russia’s isolated position after the Crimean conflict. But help from China costs dearly: Russia is increasingly becoming a secondary participant and more and more China dependent. For India One Belt, One Road presents opportunities as well as challenges. While it is reluctant to enter the scheme due to the China-Pakistan Corridor and China’s potential appearance on the Indian Ocean, it is still interested in being an active participant of the project because of its lack of capital and infrastructural development. Finally, also the European Union is given an important role in the Chinese plans. The international order following World War II could be radically changed by joint rapprochement made primarily along economic interests. Some of the doubts arising in relation to the implementation of the One Belt, One Road scheme – beyond the cultural, political, economic diversity of the region, and often colliding interests – are of a practical-technical nature. Many believe the commercial and trading goals set in the New Silk Road scheme are impossible to reach due to geographical barriers, and, in many cases, security hazards, and it will never be competitive with sea routes in the transport of great volumes of goods. However, the Chinese hope they are in the possession of such financial and technological resources which will enable them to overcome geographical barriers. The Chinese plans do not build on currently available technologies, since they wish to establish the economic corridors step by step, on a time horizon of even several decades. Furthermore, they do not necessarily wish to provide an alternative to large-scale sea transport, but their aim is to serve the economic needs of the future. 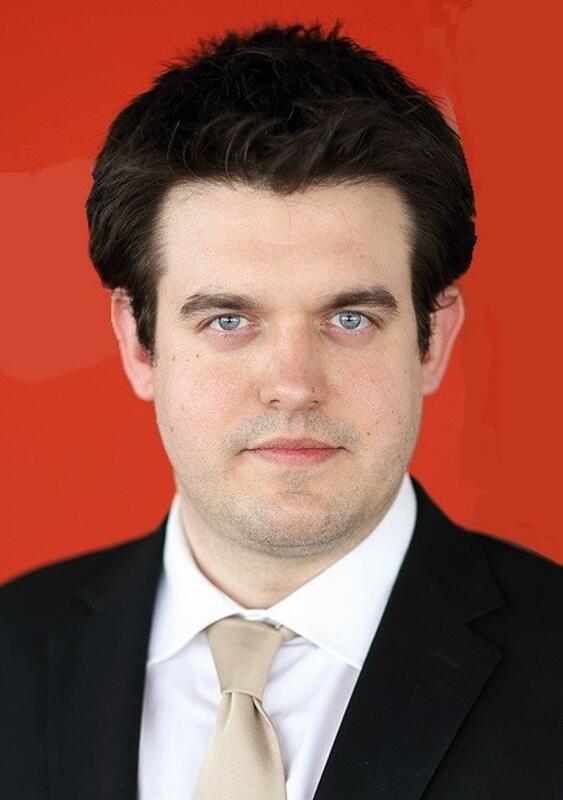 Viktor Eszterhai is a senior analyst at the Pallas Athene Innovation and Geopolitical Foundation (PAIGEO). He completed his Ph.D. in History at Eötvös Loránd University in 2018. Between 2014 and 2015 he was a senior scholar at Tsinghua University, Department of International Relations and in 2017 he was visiting scholar at Fudan Development Institute. His research topics are the Chinese characteristics in foreign policy; China and Central and Eastern European relations; non-western international relations theory. Chabahar: Which Way Are The Scales Tipping? I was given your name by my friend Dr. Jovanovic from Belgrade, whom you met recently in Shanghai. You may already be familiar with the Schiller Institute. I was in Budapest a number of years ago with the President of the Schiller Institute, Mrs. Helga Zepp-LaRouche. The Schiller Institute has been involved of a number of decades promoting the “New Silk Road” as the motor for international prosperity and peace. We feel that this represents the “New Paradigm” as opposed the old colonial geo-politics, which has caused so much suffering through poverty and war, even in the 21st century (Syria for example). Below is the link. I would look forward to hearing from you.